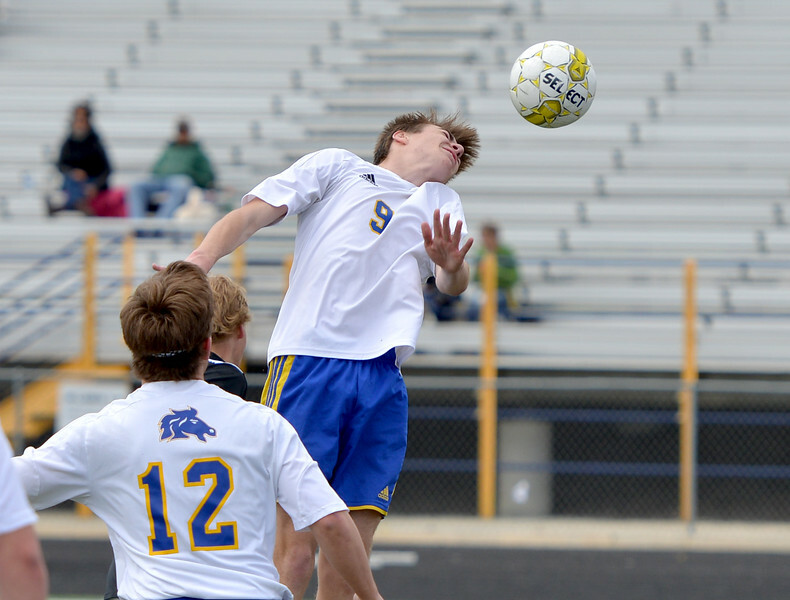 Sheridan’s Korbyn Averett jumps for a header during the boys game against Cheyenne East Saturday at Homer Scott Field at Sheridan High School. 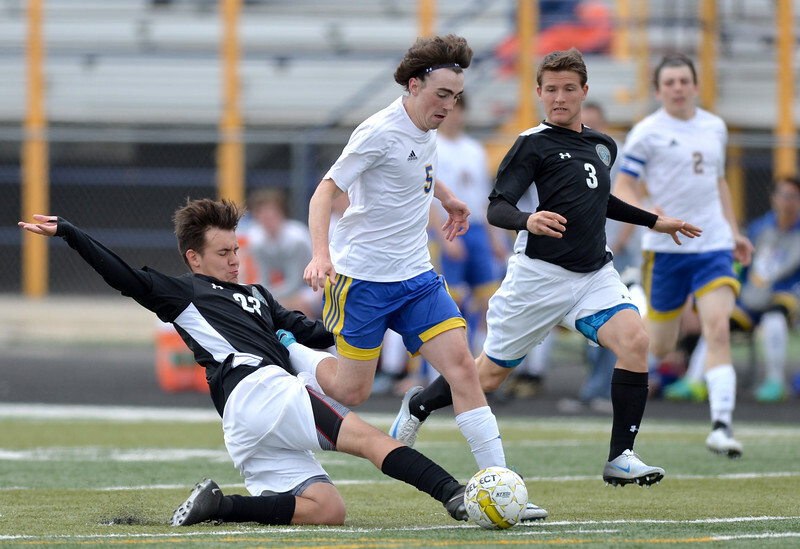 The Broncs tied with the Thunderbirds after double overtime 1-1. 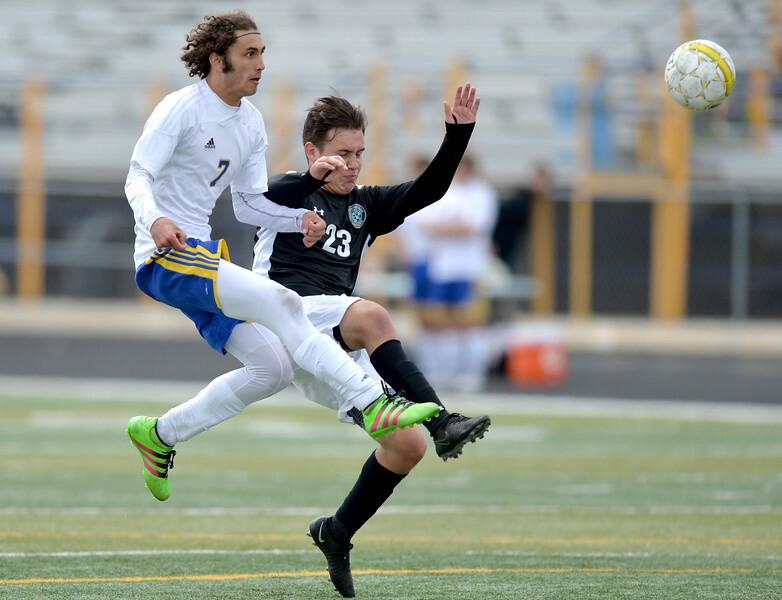 East’s Carlos Gamboa jumps against Sheridan’s Kyle Custis during the boys game against Cheyenne East Saturday at Homer Scott Field at Sheridan High School. The Broncs tied with the Thunderbirds after double overtime 1-1. 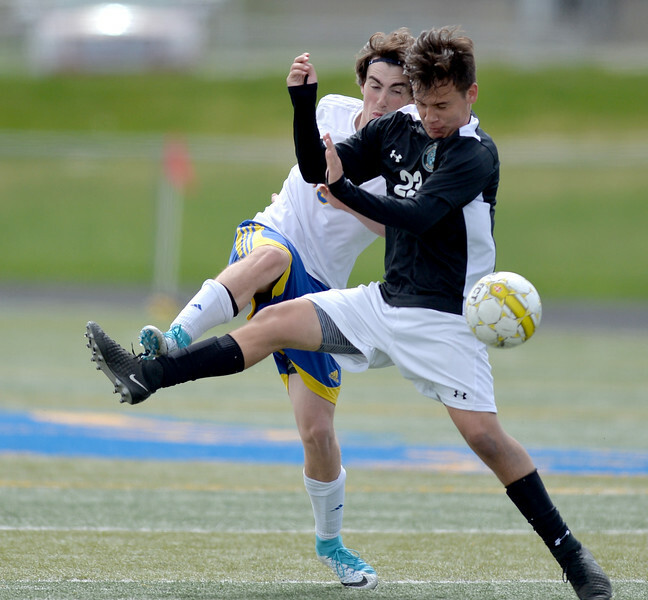 East’s Jefferson Danso kicks the ball against Sheridan’s Korbyn Averett during the boys game against Cheyenne East Saturday at Homer Scott Field at Sheridan High School. The Broncs tied with the Thunderbirds after double overtime 1-1. Sheridan’s Noah Iberlin drives the ball as Thunderbirds’ Brody Hawkins, left, and Quinn Hunt defend during the boys game against Cheyenne East Saturday at Homer Scott Field at Sheridan High School. 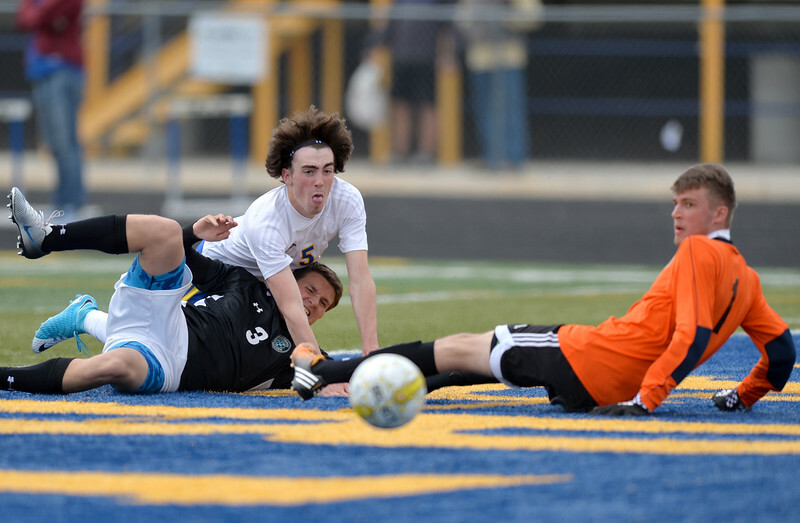 The Broncs tied with the Thunderbirds after double overtime 1-1. Sheridan’s Bryce Taylor scores during the boys game against Cheyenne East Saturday at Homer Scott Field at Sheridan High School. 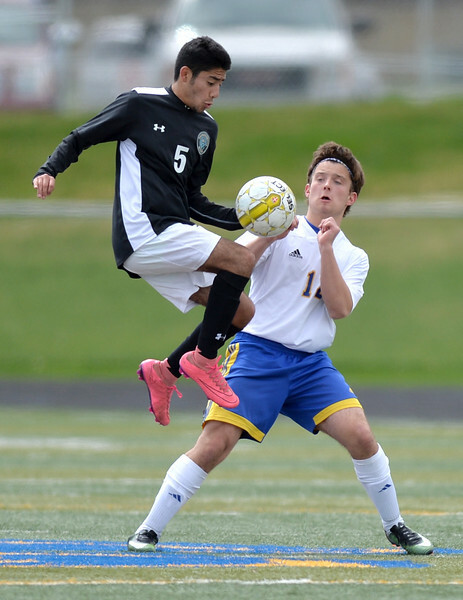 The Broncs tied with the Thunderbirds after double overtime 1-1. 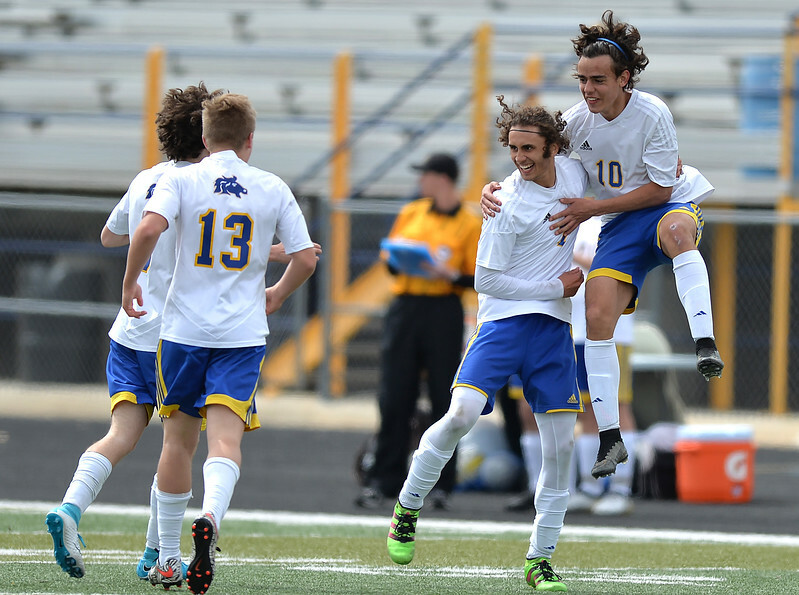 Sheridan’s Bryce Taylor, left, and Nathan Beraldo celebrate Taylor’s goal during the boys game against Cheyenne East Saturday at Homer Scott Field at Sheridan High School. The Broncs tied with the Thunderbirds after double overtime 1-1. 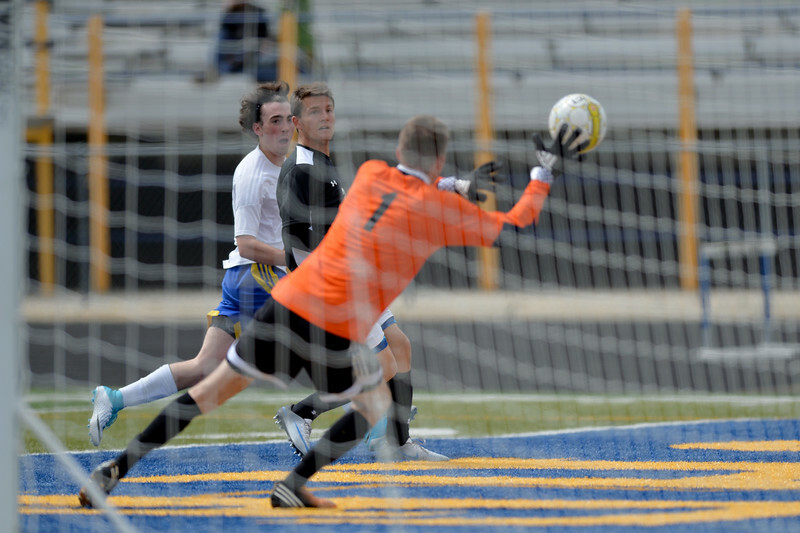 Sheridan’s Noah Iberlin looks on as the Thunderbirds’ goalkeeper deflects a shot during the boys game against Cheyenne East Saturday at Homer Scott Field at Sheridan High School. The Broncs tied with the Thunderbirds after double overtime 1-1. 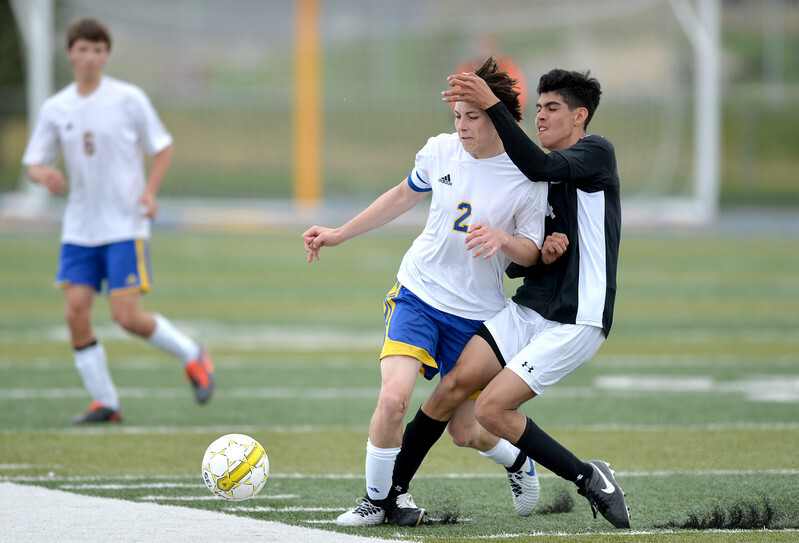 Sheridan’s Bryce Taylor, right, and East’s Dawson Eldred fight for the ball during the boys game against Cheyenne East Saturday at Homer Scott Field at Sheridan High School. The Broncs tied with the Thunderbirds after double overtime 1-1. 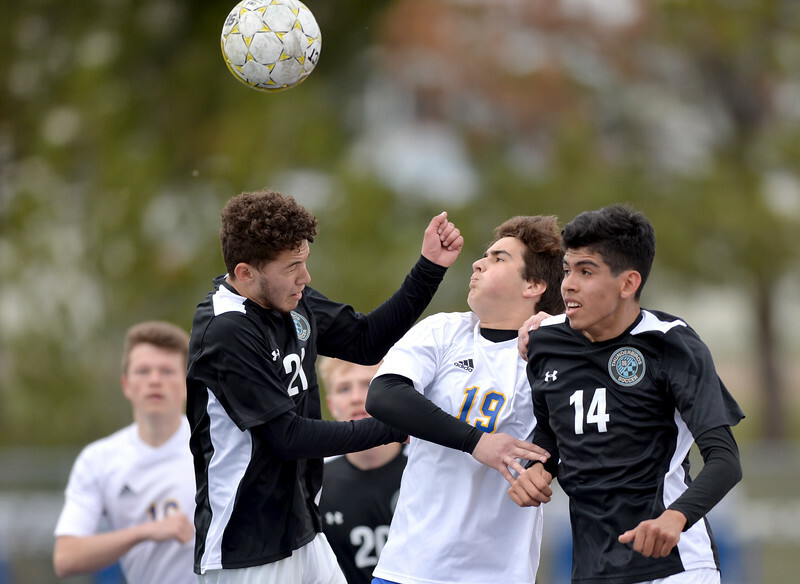 Sheridan’s Alejandro Artacho, middle, and East’s Chayce Willett, left, and Frenando Lechuga go for a header during the boys game against Cheyenne East Saturday at Homer Scott Field at Sheridan High School. The Broncs tied with the Thunderbirds after double overtime 1-1. 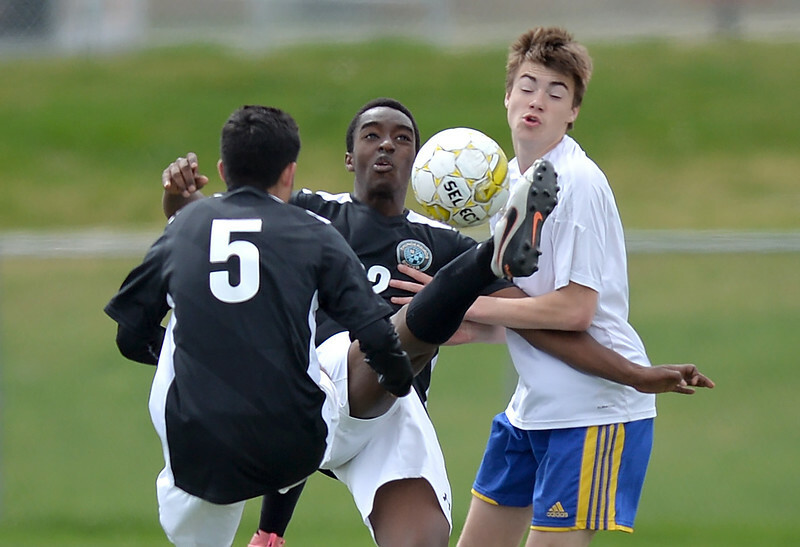 Sheridan’s Aaron Sessions, left, and East’s Frenando Lechuga fight for possession during the boys game against Cheyenne East Saturday at Homer Scott Field at Sheridan High School. The Broncs tied with the Thunderbirds after double overtime 1-1. 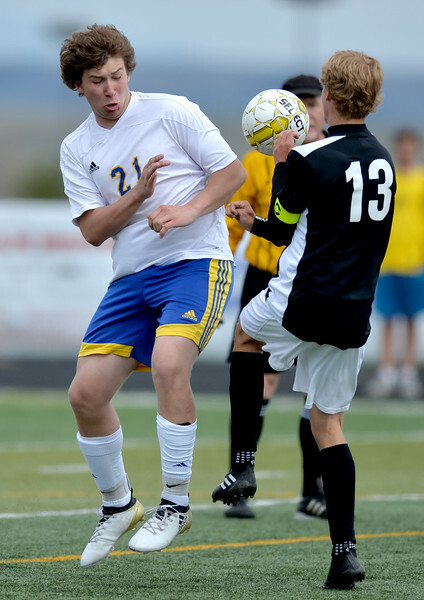 Sheridan’s Tyler Larsen, left, reacts as a header drops down during the boys game against Cheyenne East Saturday at Homer Scott Field at Sheridan High School. The Broncs tied with the Thunderbirds after double overtime 1-1. 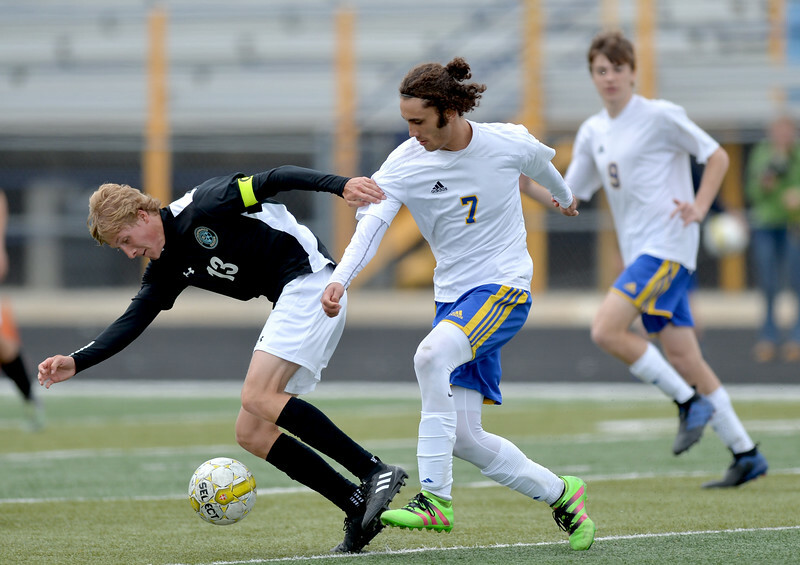 Sheridan’s Aaron Sessions attempts a goal during the boys game against Cheyenne East Saturday at Homer Scott Field at Sheridan High School. The Broncs tied with the Thunderbirds after double overtime 1-1. 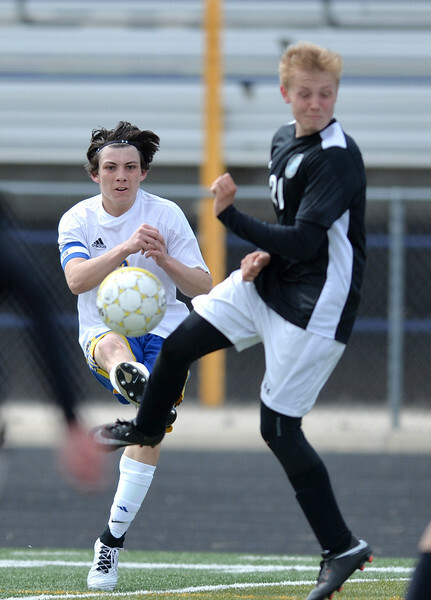 Sheridan’s Noah Iberlin kicks the ball against East’s Brody Hawkins during the boys game against Cheyenne East Saturday at Homer Scott Field at Sheridan High School. The Broncs tied with the Thunderbirds after double overtime 1-1.